Canada has been a monarchy for centuries - first under the kings of France in the sixteenth, seventeenth and eighteenth centuries, then under the British Crown in the eighteenth and nineteenth centuries, and now as a kingdom in her own right. These lands had been occupied for thousands of years by Aboriginal Peoples who, now for many centuries, have maintained an enduring and very close relationship with the person of the Sovereign and the Crown of Canada. The territories which now form Canada came under British power at various times by settlement, war or cession. A large section of Eastern Canada (now Nova Scotia, New Brunswick and Prince Edward Island) was home to the Acadian People and ceded to Great Britain in 1713. Fifty year later, New France (Quebec) was also ceded by the Treaty of Paris. The British North America Act, 1867 (Canada’s original constitution) created the Dominion of Canada with the Union of Upper and Lower Canada (Ontario and Quebec), Nova Scotia and New Brunswick. Three years later, the Province of Manitoba was created from a small portion of the vast northwest territories and was admitted to Confederation as was the remaining lands stylised as the Northwest Territories. In 1871, British Columbia was admitted as was Prince Edward Island in 1873. The provinces of Alberta and Saskatchewan were formed from the provisional districts of Alberta, Athabaska, Assiniboia and Saskatchewan and originally parts of the Northwest Territories and admitted on 1 September 1905. The Northwest Territories and Yukon became territories of the Dominion of Canada in 1870 and 1898 respectively. In February 1931 Norway formally recognised Canadian title to the Sverdrup group of Arctic islands, giving Canada sovereignty over the whole Arctic sector north of the Canadian mainland. Newfoundland (now Newfoundland and Labrador) formally joined Canada as its tenth province in 1949. In 1999 Nunavut became the largest and newest territory in Canada. Formed from the eastern part of the Northwest Territories, this huge Canadian arctic territory has only about 25,000 residents, about 80 percent of whom are Inuit. As already referenced, The Dominion of Canada was created in 1867 with the passage of the British North America Act, 1867. As a consequence, Canada became the first dominion of the then British Empire. Canada’s evolution into full independence / nationhood was undertaken peacefully and over time with key moments being defined by the Battle of Vimy Ridge (1917), the Imperial Conference of 1926, the Statute of Westminster, 1931 and the patriation of the Constitution in 1982. The constitutional act of 1867 set out executive authority vested in the Sovereign and carried out in her name at the federal level by a Governor General and Privy Council , with legislative powers exercised by a bicameral Parliament made up of the Senate, the House of Commons and the Crown.. Given the structure of the Canadian federation, the Sovereign is represented at the federal level by the Governor General and in each province by a Lieutenant Governor. The Lieutenant Governors are as much direct representatives of The Queen in their jurisdictions as is the Governor General in the national one. In 1926, the Imperial Conference in London confirmed the status of Canada, along with that of Australia, the Irish Free State, New Zealand, South Africa and Newfoundland, as self-governing Dominions under the British Crown. The Statute of Westminster in 1931, an act of the British Parliament, gave legal form to this declaration. It gave Canada and other Dominions the authority to make their own laws. One of the key features of the Statute of Westminster of 1931 was the separation the Crowns. As a consequence, the Crown of Canada – separate and distinct from that of the United Kingdom and the other Dominions – was defined in statute. Powers of the King were gradually transferred to the Governor-General, culminating in 1947 with the Letters Patent Constituting the Office of Governor-General, which authorized the Governor-General to exercise many of the powers of the Sovereign in Canada, on the advice of the Canadian government. There have been further constitutional changes in some of the Commonwealth realms during The Queen's reign. The Constitution Act, 1982 patriated the British North America Act, 1867 to Canada , thus ending any Canadian dependence on the Parliament of Westminster and further defining its complete independence. It laid down that the future amendment of the constitution should be the prerogative of Canada. Any change to the position of The Queen or her representatives in Canada now requires the unanimous consent of the Senate, the House of Commons and the legislatures of all the provinces. Today, the ten provinces of Canada each have a separate Parliament and administration, with a Lieutenant-Governor representing The Queen, appointed by the Governor-General in Council, at the head of the executive. There is a legislative assembly in each of the three territories. The territories do not have a Lieutenant Governor but, rather, a Commissioner. The Commissioners are not the direct representatives of The Queen. The Queen has a unique relationship with Canada, entirely separate from her role as Queen of the United Kingdom or any of her other realms. As in all her realms, The Queen of Canada is a constitutional monarch, acting entirely on the advice of Canadian Government ministers. She is fully briefed by means of regular communications from her ministers, and has face-to-face audiences with them where possible. The Queen personifies the state and is the personal symbol of allegiance, unity and authority for all Canadians. Legislators, ministers, public services and members of the military and police all swear allegiance to The Queen. It is for this reason that all new Canadian citizens swear allegiance to The Queen of Canada. Elections are called and laws are promulgated in The Queen's name. The Queen is represented in Canada on a day-to-day basis by a Governor General at the federal level and by a Lieutenant Governor in each of the ten provinces. The Governor General is appointed by The Queen upon the recommendation of the Prime Minister of Canada while the Lieutenant Governors are appointed by the Governor General upon the recommendation of the Prime Minister. By granting honours, Canada pays tribute to outstanding people. The Governor-General, representing The Queen as the fount of the Canadian honours system, presents a variety of orders, decorations and medals, headed by the Order of Canada. Each province also has a series of honours that are, as well, awarded to deserving citizens in the name of Her Majesty by her representative the Lieutenant Governor. The Queen and her eleven vice-regal representatives send anniversary messages to individuals celebrating notable birthdays and anniversaries. The Governor General and Lieutenant Governors also promote identity and unity in their jurisdictions, meeting Canadians from all walks of life at various ceremonies and events including New Year’s Levees. In promoting the central role of the Canadian Crown, they are key participants in significant ceremonies such as Canada Day, Victoria Day and Remembrance Day. Even though many duties have been delegated to her Canadian representatives, The Queen herself has a very personal involvement with Canada and Canadian in every region of the country. This involvement is based on a deeply held affection for and loyalty to a country that she first toured as Princess Elizabeth in 1951 and to which she has returned over twenty times since. One form of involvement is support for the work of Canadian charities and public organisations. The Queen's patronages include the Canadian Cancer Society, the Canadian Nurses' Association, the Canadian Red Cross Society, the Royal Canadian Humane Association, and Save the Children - Canada. The Queen retains a special relationship with The Canadian Armed Forces, acting as Colonel-in-Chief of various regiments: the Royal Regiment of Canadian Artillery; the King's Own Calgary Regiment; Le Royal 22e Régiment; the Governor-General's Foot Guards; the Governor-General's Horse Guards; The Canadian Grenadier Guards; Le Régiment de la Chaudière; the Calgary Highlanders; The Royal New Brunswick Regiment; 48thHighlanders of Canada; The Argyll and Sutherland Highlanders of Canada; Canadian Forces Military Engineers Branch; the Air Reserve and the Canadian Armed Forces Legal Services Branch . While resident in the United Kingdom, The Queen honours Canadian achievement (read The Queen's message to Colonel Hadfield) and shares words of comfort at moments of disaster through messages to the country (read The Queen's message following the train crash at Lac-Mégantic). Canada is the country most visited by The Queen over her reign of over sixty years. She has often stated that it was her 'second home', feeling totally at ease in Canada, meeting as many Canadians as possible from all walks of life and backgrounds in the communities where they live. The Queen of Canada's Royal style and title is Elizabeth the Second, by the Grace of God, of the United Kingdom, Canada and Her other Realms and Territories, Queen, Head of the Commonwealth, Defender of the Faith. 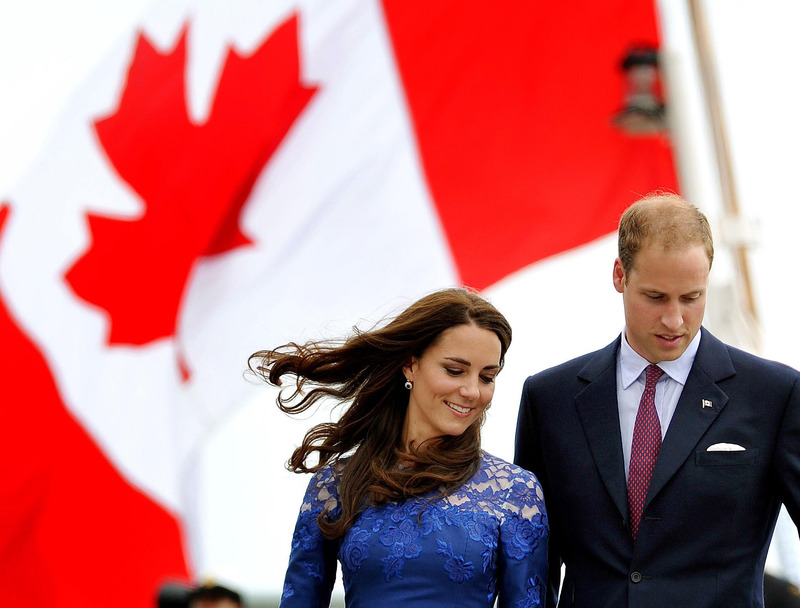 Today, Canadians are very familiar with Royal Tours undertaken by The Queen and Members of the Royal Family. Modern means of transportation and communications have made such tours an almost annual part of national life and serve to bring the Crown into very personal contact with the people it represents – all Canadians, regardless of language, race, colour or religion. Although Members of the Royal Family have spent time in Canada for well over two hundred years, it was only in 1939 that a reigning monarch arrived on Canadian soil. In that year, King George VI and Queen Elizabeth, later Queen Elizabeth The Queen Mother, undertook an extensive six-week tour across Canada and endeared themselves to every single Canadian they met. When asked whether she was Scottish or English, The Queen stated 'Since I have landed in Quebec, I think we can say that I am a Canadian.' In a tribute to her mother, the current Queen cited this quote in Vancouver in October 2002 during her Golden Jubilee Tour and signalled her concurrence with her mother’s sentiments. The first tour by The Queen was made in 1951 when as Princess Elizabeth, she and The Duke of Edinburgh began their close and enduring association with Canada and Canadians. Through a deliberate effort to visit every province and territory, The Queen and Members of the Royal Family have developed an extensive knowledge of and affection for all part of the country and its people. In much the same way, Royal Tours put a very human face on royalty thus allowing Canadians to express the affection and admiration that are so genuine and evident during such tours. "Every time I come to Canada, and I’ve been here many times since 1970, a little more of Canada seeps into my bloodstream and, from there, straight into my heart." In addition to providing a focus for the strong bonds between Canadians and their Sovereign, Royal Tours are a very real reminder of Canada’s collective heritage and status as both a constitutional monarchy and a parliamentary democracy. The Queen and Members of the Royal Family frequently use such torus to associate themselves with worthy causes. For example, The Duke of Edinburgh and The Earl of Wessex are strong supporters of The Duke of Edinburgh’s Awards, which encourage young people to excel to the best of their abilities and talents. The Prince of Wales’ Charities in Canada works to identify and deliver programmes such as 'The Prince’s Seeing is Believing' that is engaging corporate Canada with community organizations to improve the lives of young Canadians. The Princess Royal is President of the Save the Children Fund and fosters a greater understanding among all people about the plight of disadvantaged children. Royal Tours have, therefore, a unique way of contributing to Canadians’ understanding of who they are as members of the Canadian family as well as their place within the community of nations. While in Canada, The Queen and Members of the Royal Family often lend support to other noteworthy causes that mirror the ongoing themes of office chosen by the Governor General and / or the Lieutenant Governors. The need for environmental preservation, the plight of socially disadvantage people, the role of voluntarism and community service, the promise of scientific and medical research, and the creation of new educational skill sets are but a few of these subjects that warrant enhanced public attention and action. With the exposure gained through Royal Tours, timely issues are kept in the public consciousness and highlighted as a part of a sustained commitment to the building of a stronger and more inclusive society. Increasingly, themes are developed that serve to provide a comprehensive framework for all Royal Tour programming. 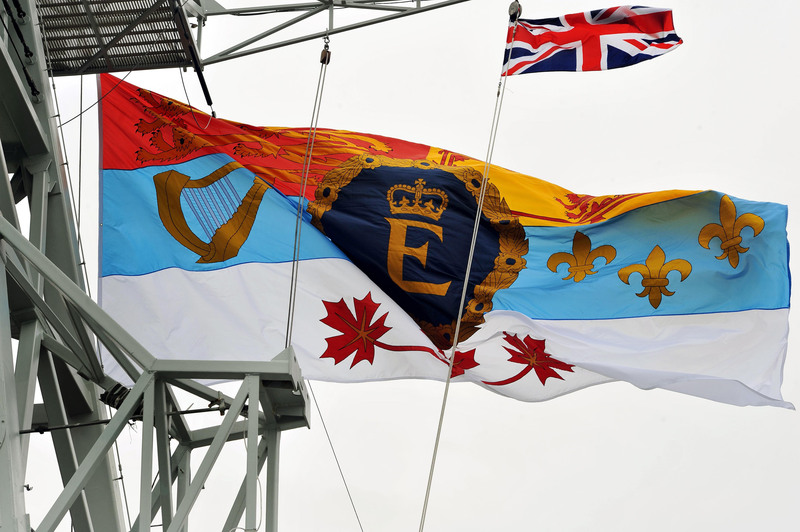 For example, The Queen and The Duke of Edinburgh toured Canada in 2010 to pay tribute to the 100th anniversary of the Royal Canadian Navy. Quite appropriately, the theme was 'Honouring the Canadian Record of Service', combining a tribute to those Canadians, past and present, who have served their country in any number of ways. It also served to challenge youth to envisage and share the Canada of the future. As with all such tours, the intent is to bring to life the institution of the Canadian Crown through close-up encounters with The Queen and Members of the Royal Family as well as the active involvement of as many Canadians as possible.Official Royal Tours to Canada are co-ordinated by the Canadian Secretary to The Queen supported by the Government of Canada (Department of Canadian Heritage) in association with provinces and / or territories included in the itinerary. In the Canadian federation, the Sovereign is represented at the national level by a Governor General and in each of the ten provinces by a Lieutenant Governor. As a consequence, The Queen has eleven direct representatives in Canada. Working together with a purpose in common, these eleven vice-regal representatives, with the Governor General as first among equals, exercise powers that flow from the Sovereign. Operating in their own jurisdictions, they personally represent The Queen and perform most of the functions assigned to her as Canada’s head of state. In representing the Sovereign in Canada, the Governor General and Lieutenant Governors have duties that cover a broad range of responsibility; among them are: the summoning and dissolution of Parliament / Legislature, the swearing in of the Ministry, the reading of the Speech from the Throne, the granting of Royal Assent and the use of reserve powers. At the national level, the Governor General promotes Canadian sovereignty by visiting foreign nations and serving as Commander-in-Chief of Canada for Her Majesty’s Canadian Armed Forces. Further, the Governor General accepts Letters of Credence from newly-appointed ambassadors / high commissioners. All eleven vice-regal representatives recognize exemplary accomplishments and contributions in The Queen’s name by awarding honours to Canadians. Further, they all associate themselves with the pursuit of excellence in many different fields, ranging from physical fitness to fine arts, from Arctic sovereignty to human rights, and provide an example of leadership to their citizens through associations with numerous Canadian service, humanitarian and youth groups. Perhaps the principal role of The Queen’s representatives, beyond constitutional duties, is to promote identity and unity. Through extensive visits, involvement in local events / ceremonies and the delivery of addresses, they make all Canadians aware of the rich and colourful tapestry of Canada’s national identity as well as the central role of the Canadian Crown in the life of the country. The Governor General is appointed by The Queen upon the recommendation of the Prime Minister. The Lieutenant Governors are appointed by the Governor General upon the recommendation of the Prime Minister. Canada is a land of diversity, embracing vast differences within its border and among its people. Symbols have provided connections across great expanses of space and time and have been a source of both pride and unity. In this regard, perhaps the most visible symbol is the Canadian Crown. It is possible to find symbols of the Crown displayed in many important areas: coinage and currency, constitutional documents, postage stamps, police and military insignia, passports, government coats-of-arms and court buildings, to name but a few. In addition, there are approximately seventy prominent Canadian organizations with royal designations, such as the Royal Canadian Legion and the Royal Winnipeg Ballet, which were granted the honour personally by the Sovereign. Approximately forty military regiments have The Queen or a Member of the Royal Family as colonel-in-chief, many carrying “Royal’ designation, such as the Royal 22e Régiment, and the Royal New Brunswick Regiment, as well as other forces such as the Royal Canadian Mounted Police and the Royal Newfoundland Constabulary. Indeed, all naval vessels of the Royal Canadian Navy are named with the prefix – HMCS – Her Majesty’s Canadian Ship. These and many other examples are enduring and appropriate reminders that power and honour flow from the Crown of Canada, personified by the Sovereign. When in Canada, The Queen uses her Personal Canadian Flag. The design is made up of the arms of Canada with the Queen’s own device - the initial 'E' - in the centre. The device is surmounted by the St. Edward’s Crown within a gold chaplet of roses on a blue background. It is flown, day and night, at any building in which she is in residence. In a constitutional monarchy, the Sovereign is the source or 'fount' of all honours. This means that honours and decorations are created by and conferred in the name of The Queen, and on behalf of all Canadians, in the recognition of meritorious service and or accomplishment. The Governor General and Lieutenant Governors conduct investiture ceremonies in the name of The Queen. Often bearing the St. Edward’s Crown, these conferred honours are a visible reminder of a key point: all such honours are granted by the Sovereign on behalf of the entire country. Another form of honour flowing from the Crown is the granting of armorial bearings or coats of arms. Part of the Chancellery at Government House in Ottawa, the Canadian Heraldic Authority provides a Canadian mechanism for the granting of heraldic emblems to Canadian governments, communities, corporations, associations and individuals. Recognizing the importance of heraldic symbols in fostering national identity and pride, the Authority grants uniquely Canadian emblems in the name of The Queen of Canada and uses this ancient and colourful science to highlight collective heritage and identity. The Queen and her representatives devote much time and energy to ceremonial duties. Such duties are an important part of the life of the country: the royal pageantry, ceremony and traditions of The Queen, the Governor General and the Lieutenant Governors all enhance a sense of identity and reflect Canada’s rich and vibrant traditions. Victoria Day, the last Monday before May 25th, is a national holiday celebrated to mark the Queen’s birthday in Canada. Originally falling on the birthday of Queen Victoria (May 24), it has been marked in Canada as The Queen’s Birthday since 1845 and is a uniquely Canadian holiday tradition. The Queen’s Young Leader Award recognises and celebrates exceptional people aged 18-29 from across the Commonwealth. Among the first group of Queen's Young Leaders in 2015 were Canadians Aaron Joshua Pinto, Melissa Kargiannakis and Rosimay Venancio. In 2016, Gunjan Mhapankar was recognised for her work increasing public awareness of serious community issues, and Kelly Lovell was congratulated for running projects which encourage young people to connect with their wider community through volunteering and mentoring. The Award celebrates the achievements of young people who are taking the lead to transform the lives of others and make a lasting difference in their communities.